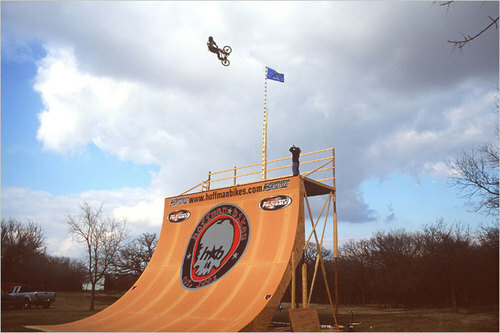 Mat Hoffman is one of the most innovative rider in the BMX history. Not only as a rider but also as a business man. Luckyly he answered my questions. So I'd like to discover some hints what is the core essense of his success as a rider and a business man. 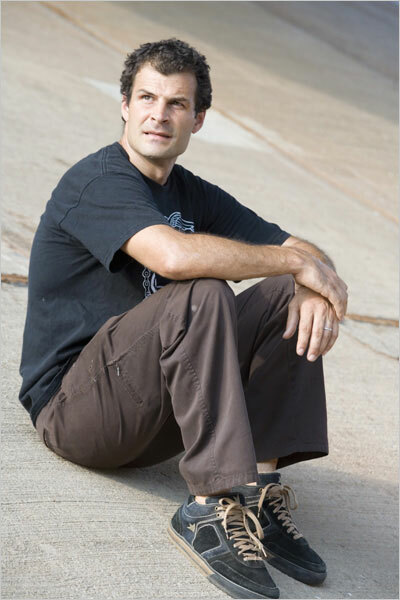 For who doesn't know Mat Hoffman I will write a brief intro about him. He made uncountable tricks and won trillions of contests. He won Expert vert at 14. After that he appears a lot in BMX magazines. He turn pro when he was 17 and won the first contest. That is the beginning of his super conquered riding histroy. 1992. 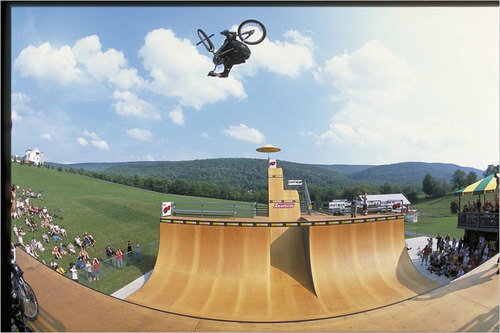 He start his own bike company "Hoffman Bikes" and now it is one of the biggest BMX company in the world. Contest series. He started Bicycle Stunt(BS) contest series. That evolves to BMX contest in X-GAMES. 1991 Hoffman Promotion starts. A company produces events & shows. Later it evoles to HSA. Mat Hoffman & Jay Miron came to Japan at 1994. That was the first time I met him. Later I went to America for contests. I met him. Gladly Mat remembered me and I get to talk and e-mail him sometimes. Mat and I have lot of injury experience. So once I asked him for an advise for injured knee. This time I asked him for this interview and I deeply appreciate that he replied me. could handle and the larger companies not keeping up with the progression. them into riding and my contest series to make them a part of our scene. Any messages to the readers who ride BMX and dreaming to be a pro. Mat and I are the same age, but there's a whole lotta diffrence between each others accoumplishments. I don't know if Mat thinks about the value chain. but he thinks and did what he think it is needed and what he can do. I surpose the love to BMX made him do all. Several years ago when I went to USA, I heard a rumor Hoffman Bikes went into the red. I don't care if it was true or not and not a big deal. With Mat's huge passion and toughness anything can be done. His strong mental power will not be defeated easily. Not only that his charming personality brings people together. Mat has given a huge impact to the BMX scene. I don't know if I can give some huge impact ,but at least we can wish and try.